This was the first shirt I received through NerdBlock and I was floored by the design. I remember thinking that Darth Vader with a scythe would be pretty cool to see on the big screen, but then I though about how easy a lightsaber would cut through it and then threw that idea out the window. As a fan of The Sims and a long time TSO (The Sims Online) player, I was looking forward to checking this game out. Of course, life gets in the way, but thanks to Best Buy I was given a chance to finally play Tomodachi Life. Leave it to a Stormtrooper to misfire and miss out on a day. Well, that's what happened...uh, yeah, that's it. Since Stormtroopers are clones, who knows how well their memory is by now. Talking "The Driving Dead" with Michael Rooker. Standing in the darkness of the empty movie theater I saw the SUV pull up and then he walked out. Dressed in jeans, a black shirt, a leather vest, sunglasses and baseball cap, he let out a big laugh as he exited the truck and greeted colleagues. Walking into the theater he paused for a second and told the group that this theater (The Music Box) "was the first to premiere Henry when it was released." There was an aura about him as he walked by and I could tell that this was going to be an interesting morning. 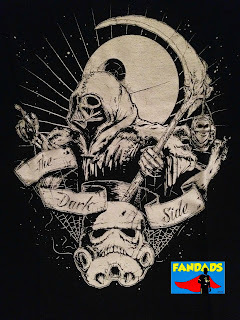 If you are a fan of Game of Thrones, than this phrase looks somewhat familiar, but if you are a fan of Star Wars, you know that this phrase could only mean trouble for you. The Jawas were good at hunting down defenseless droids that were running amuck in the desert, but how will they be hunting down mindless zombies? Will there short size and numbers help them out or will they be easy fodder for the zombies? 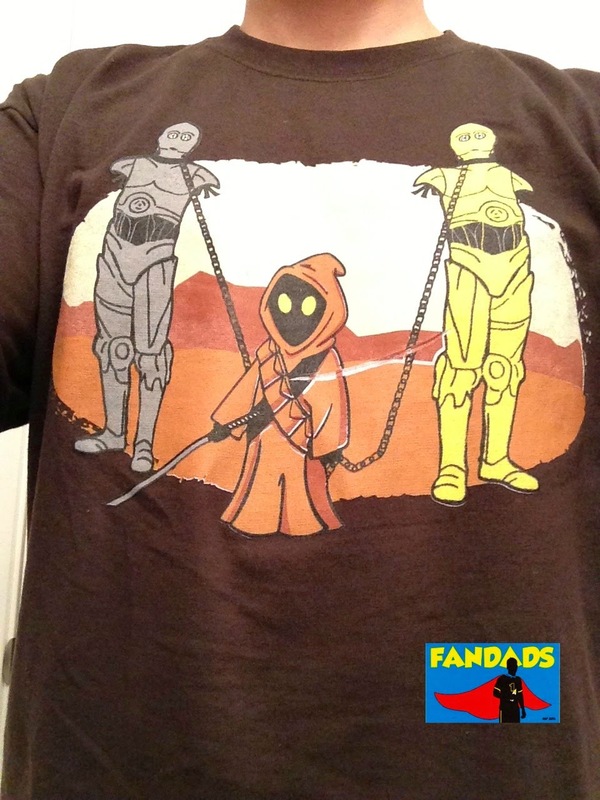 I do not know know if we will get the answer, but this shirt gives us a hint that Jawas might surprise us. 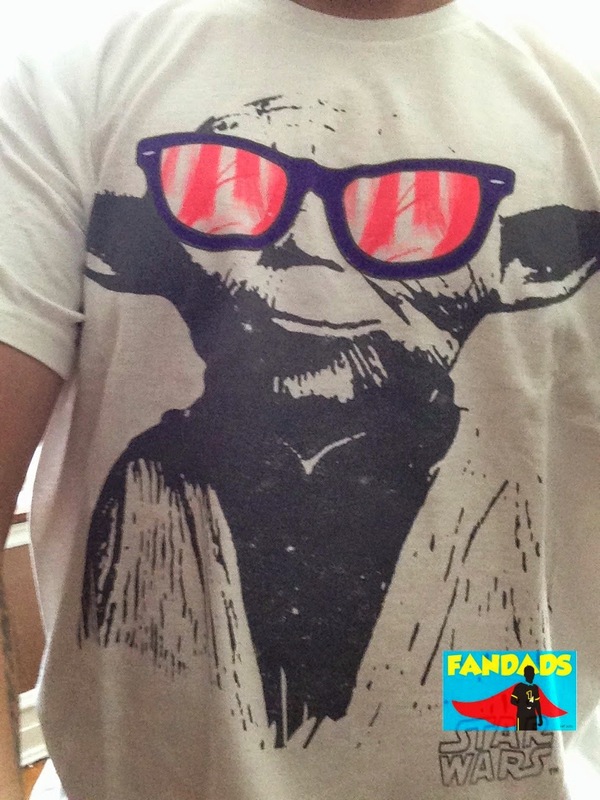 The weather in Chicago this weekend is going to be pretty sunny, so this Jedi master is prepared for the sunny days ahead, twofold. How many of you were singing the title of the post as you read it? 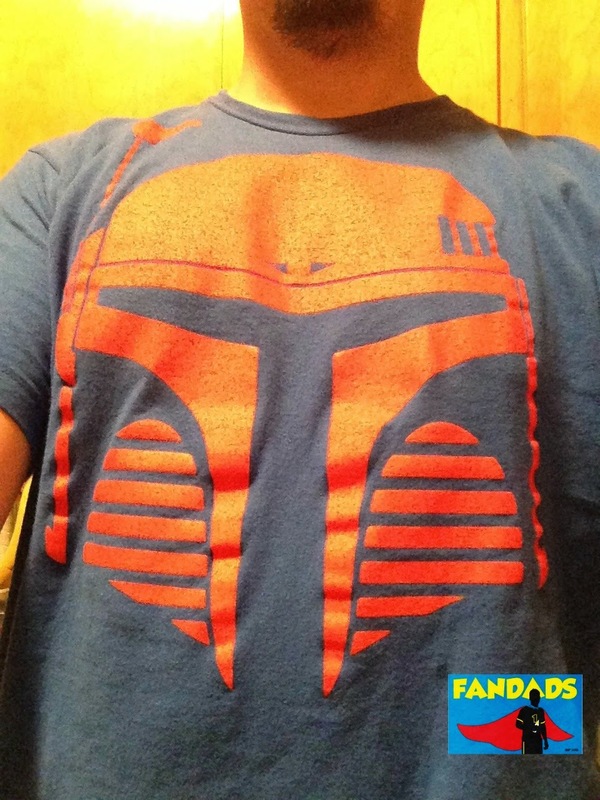 I told you he would show up again and this time Boba Fett has joined the forces of Cobra. Cobraaaa! Maybe it's the other way around and Cobra joined up with him. 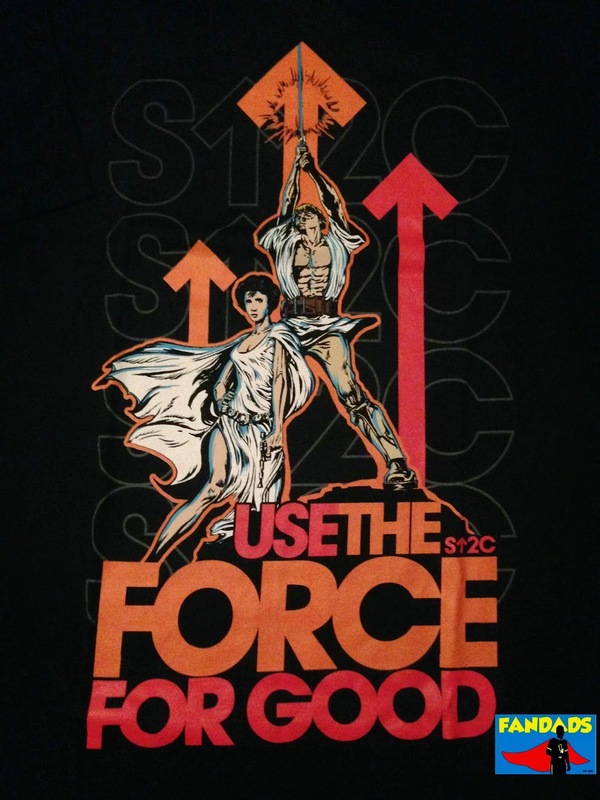 With a lot of focus going to the ALS Ice Bucket Challenge, today's shirt focuses on one cause that is near to my heart: Stand Up 2 Cancer. Today's shirt is for all my math nerds out there. 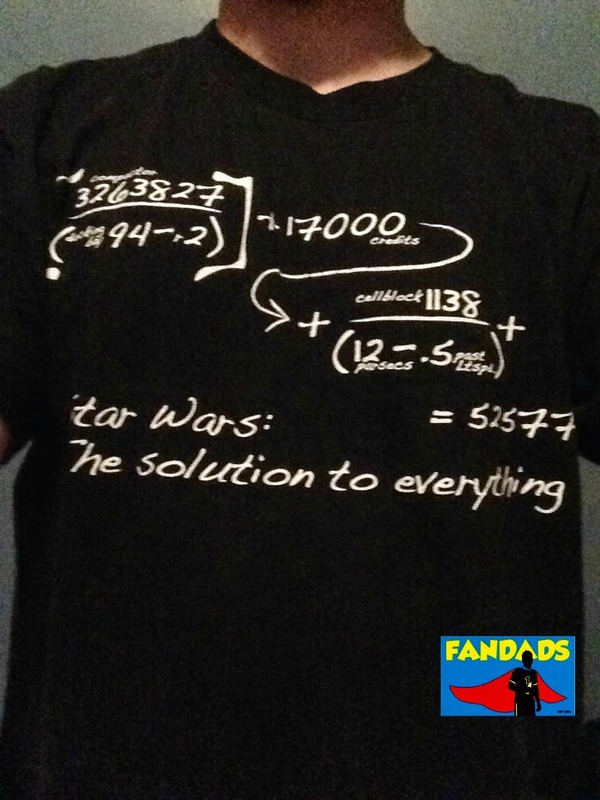 It doesn't matter what mathematical operation you use to try to solve the formula, the answer will always be the same: Star Wars! The Fandads and Wizard World Chicago. Will you be at Wizard World Chicago this year? Who are you excited to see this year? 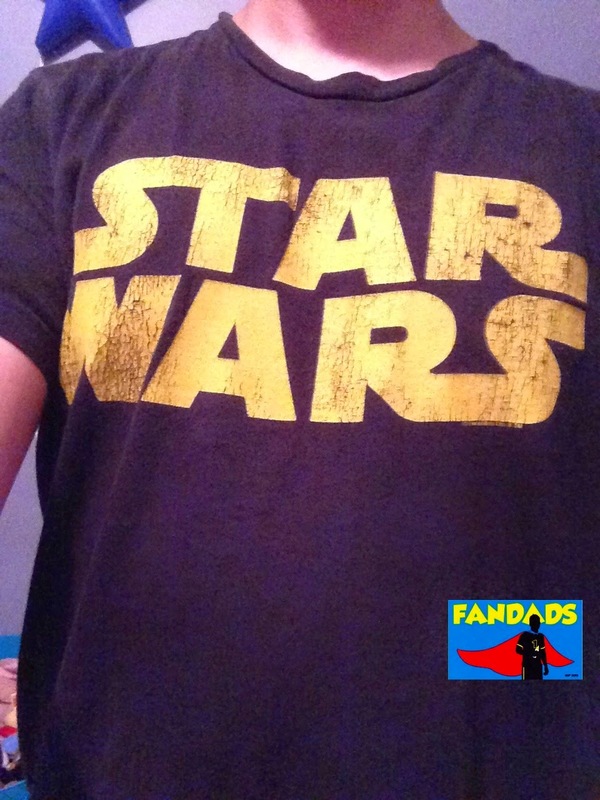 The Fandads will be there and we can not wait to see what the con has in store for us this year. While there are many actors and actresses that we want to see and maybe ask a question or two, the Fandads will be on the show floor walking around and hopefully meeting some of our readers. Just a heads up, we will have some goodies to giveaway to our readers, if you know the "code" word of the day. The words will be hidden in upcoming posts and when you see me on the floor, say "Hello Fandad, today's word is ______." Pretty easy huh? Remember to get your tickets for Wizard World. 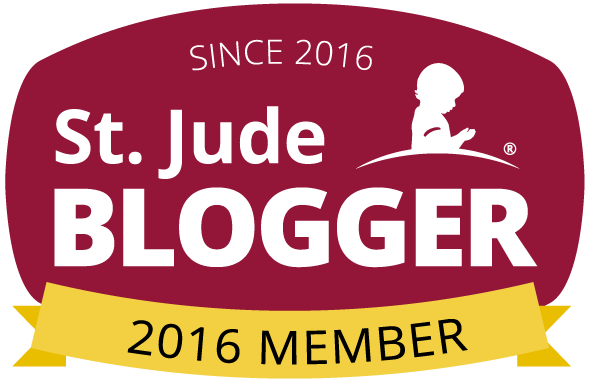 If you haven't bought them yet click on the banner at the top of the page to order your tickets. See you at Wizard World and thanks for reading. Although he was just featured a few days ago this is one bounty hunter that you can not say no to. 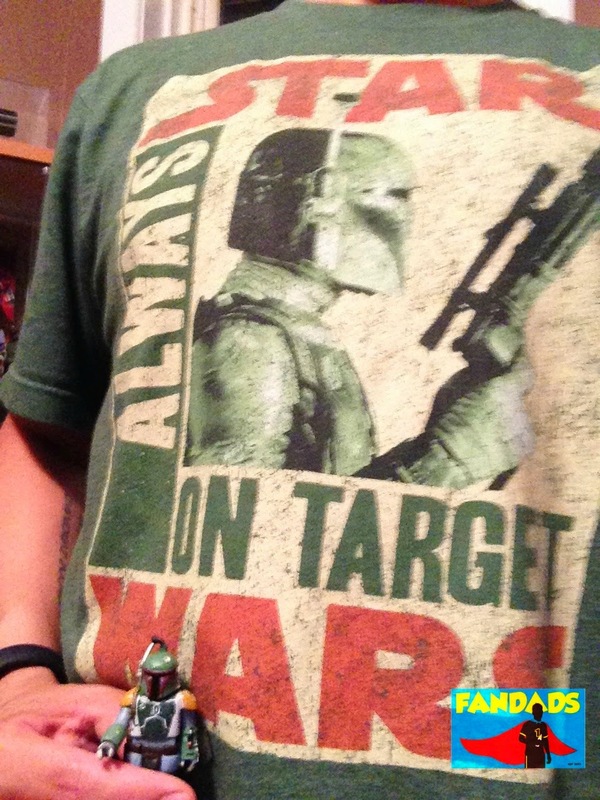 Boba Fett is showcased front and center in this shirt and looks menacing as he aims his blaster rifle at you. When I first saw those words on the screen many moons ago I remember thinking that I wanted to live in that universe. Those words changed how I saw movies and changed my life too. Last month I celebrated my 39th birthday....let me ponder on that for a moment....ok, let's go. I celebrated my birthday on the weekend of my sister's wedding (wedding was the 18th, my birthday was the 19th) and it was kind of like an afterthought. As we were getting ready to leave the wedding reception later on that night, my older sister looks at me and goes "V! It's your birthday today!" and I was like "Yeah." Today's shirt was featured last month on T-Shirt Thursday. This shirt was given to me as a Father's Day gift and it's become one of my favorite shirts. 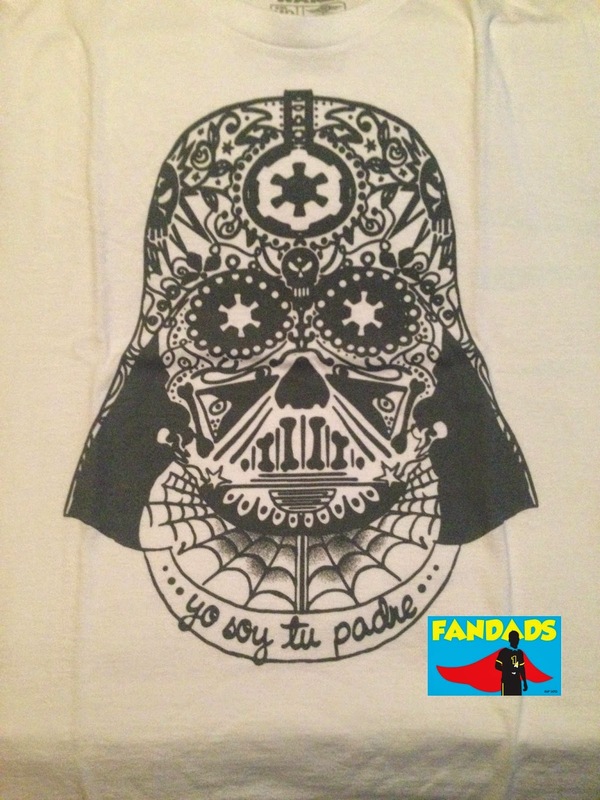 I don't know what else I can say about this shirt, except that I love the design of Darth Vader and the just looking at the Empire symbol for his eyes makes this shirt a little creepy. Maybe it's just me, but I'm glad that I don't have to stare at that face in a dark alley. What are your thoughts about the challenge so far? Do you have a favorite shirt yet? Have you been keeping tabs on the mash-ups or who's made numerous appearances? 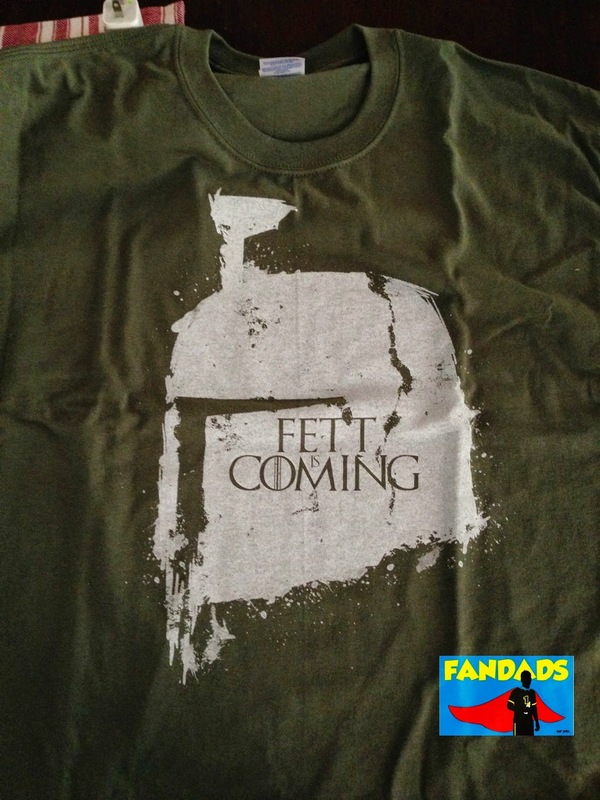 From a far you're thinking to yourself, "That's a pretty cool looking shirt depicting the Battle of Hoth." 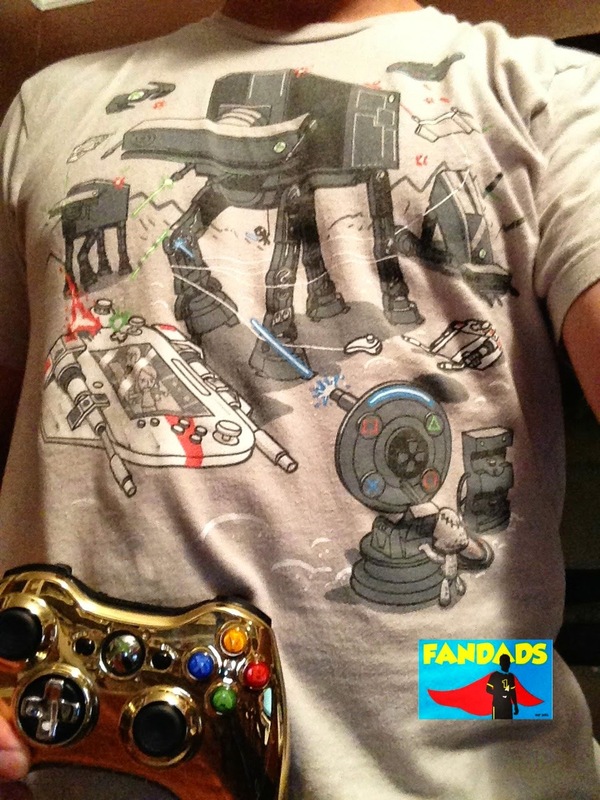 Only when you get closer you realize that it is not an AT-AT in the center of the shirt, it's an Xbox One. This shirt called "Console Wars II" combines what you already know is my favorite movie "Star Wars" with one of my favorite pastimes: video games. Do we really need to say much about this shirt? 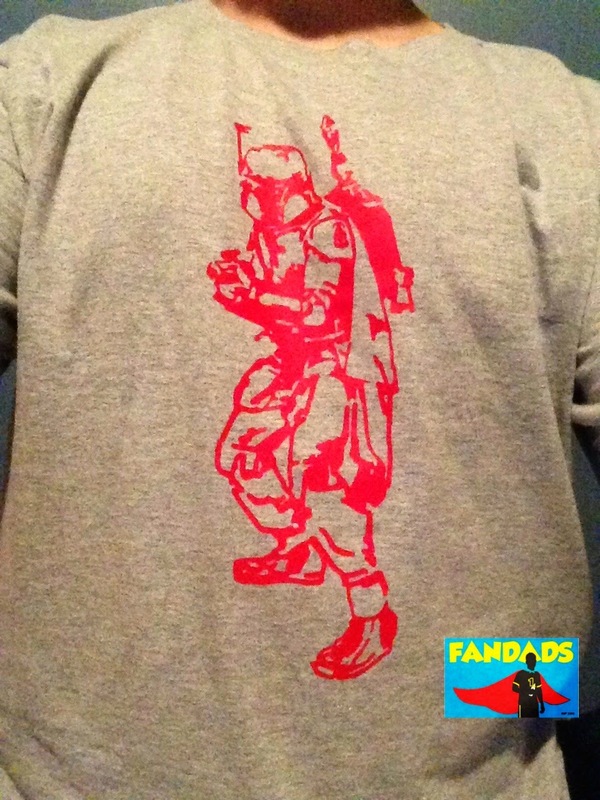 I mean it's Boba Fett! What more is there to say about this guy? He's already made a few appearances on the challenge and I don't think this will be his last one. I bought this shirt for about four dollars on the clearance rack at Old Navy and I would say it was a good find. Even Kubrick Boba agrees. What type of music does a Wookiee listen to? Whatever it is, it's obviously better than yours. Just like the old saying "Let the Wookiee win" you better let the wookiee listen to what he wants. For those people that know me, they know that I used to DJ and when I saw this shirt at Wizard World I had to get it. 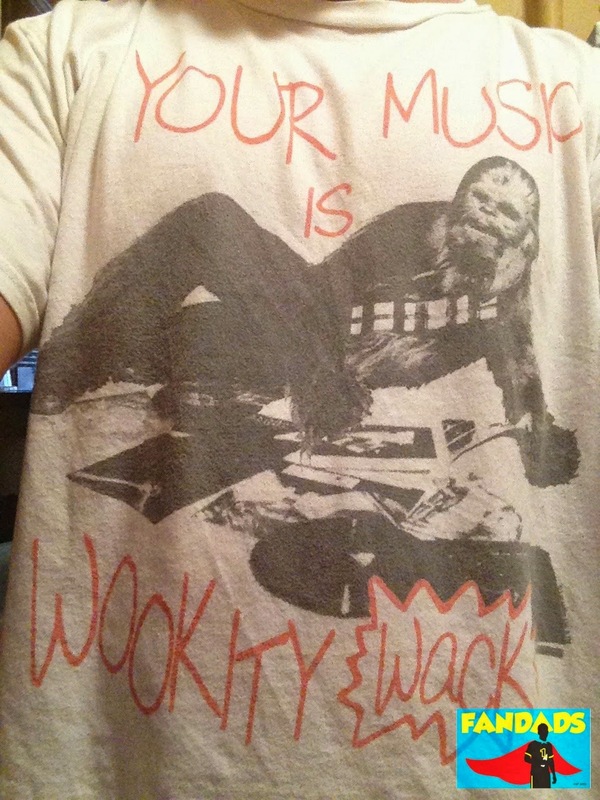 I just thought it was an awesome shirt and Chewbacca telling people that "Your music is wookity wack" was just the icing on the cake. As fantastic as this picture is it does make me wonder, how does wookiee music sound like? Are there any big wookiee artist from Kashyyyk that we may have heard of? Who knows. My daughter just turned four last week and she received a birthday card with a bunch of the Disney Princesses. It was one of those where you punch them out and play dress up with them. As I was helping her cut them out I came across her, but I couldn't remember her name, honestly I'm not sure I ever knew it. 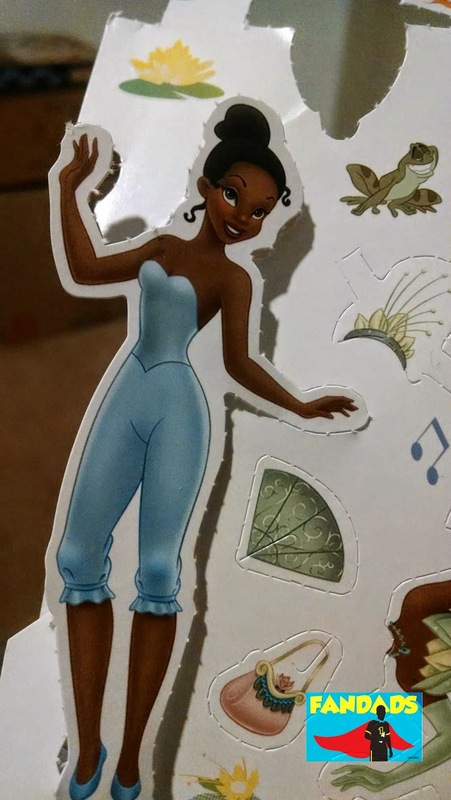 Some of you may know her from The Princess and the Frog. Oh, to be a student at Dark Side High. I wonder what classes are offered there and what is the graduation rate? 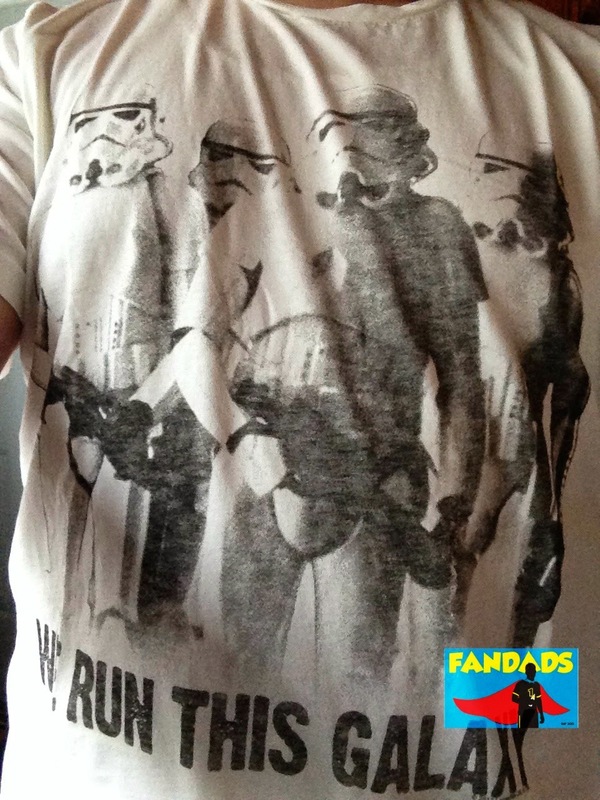 Today's shirt is from a UK company called CHUNK that I purchased through the Star Wars store many years ago. Hey, if Lucas can say "A long time ago, in a galaxy far, far away" I can say "many years ago". Do the troopers wear these under their armor when fighting the rebels? Who knows. 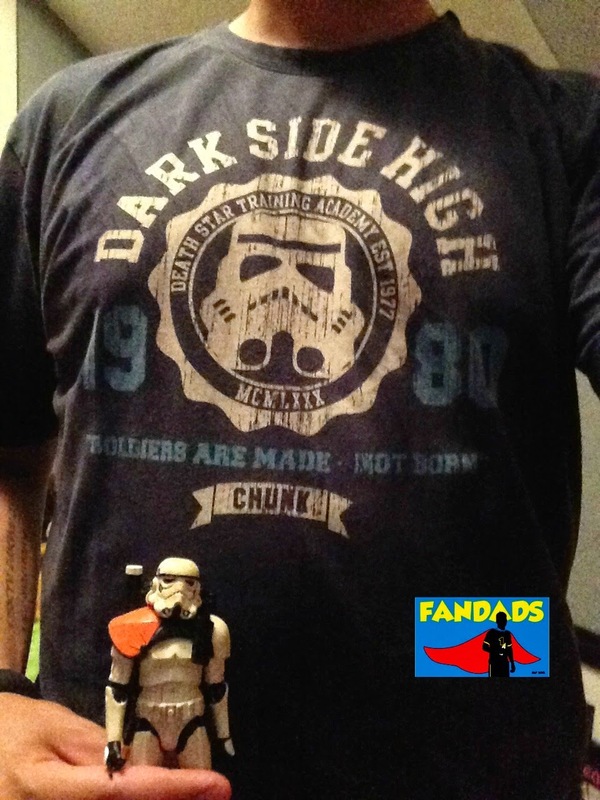 The shirt reads: Dark Side High: Soldiers are made - not born. I think some of the graduates need to go back and retake their shooting class and maybe work on their accuracy. For a little green alien that has a funny way of speaking Yoda has a lot of power. 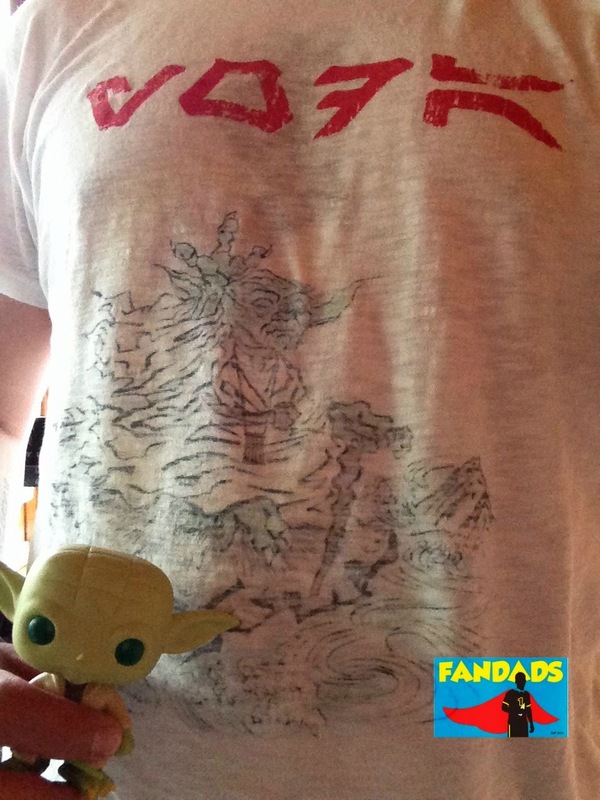 I mean, this shirt looks like it's a mistake because the color is all faded, but the image of Yoda is actually printed on the inside of the shirt. Sorry for taking a break on the #30DaysofStarWarsShirts, but with everything going on in my city (Chicago) right now, I thought I'd put it on the back burner for a while. It seems like every weekend there is an insane amount of people that are shot or killed and it's really troubling. I have been sitting up at night wanting to address this situation, but I don't know if this is the right outlet for it. I realized that we all need to escape our reality from time to time and maybe the #30DaysofStarWarsShirts was a way for some of you to escape the bad news from the day or just look at the day's shirt and think to yourself, "I can't believe this guy has that many Star Wars shirts!" Well, the shirts will return tomorrow. I will continue with the challenge and continue showing you all the shirts that I have compiled and give you all an opportunity to vote on your favorite one. If you follow us on Instagram, you have probably seen the awesome boxes of toys Hasbro has sent us and we will be reviewing them soon. Along with those toys, we will review a few statues and Hot Toys figures that the Fandads have gotten their geeky hands on. We know how much you all love giveaways, so we will be doing one sometime soon.